Mr. Futterman holds a Master's degree from the Juilliard School of Music with two years of Doctoral studies in Musicology and Baroque Performance Practice. He spent one year pursuing Jazz studies and composition at the Berklee School of Music in Boston with Charles Mariano. While still a Doctoral candidate, he served as Assistant Conductor to Maestro Vladimir Kin of St. Petersburg and participated in master classes with Sir George Solti and Leonard Bernstein. Beginning in the 1994, Mr. Futterman devoted more of his time to the education and training of young musicians as Music Director of the Bellevue Youth Symphony, then as founder and Music Director of the Academy Chamber Orchestra, a training ensemble for advanced instrumentalists. Recent graduates of the Academy Chamber Orchestra have gone on to attend the Curtis Institute, the Cleveland Institute of Music, Manhattan School of Music, and the Peabody Conservatory, etc.. Mr. Futterman previously served on the faculty of Manhattan School of Music and his own private students have gone on to attend Harvard, Yale and The Curtis Institute. 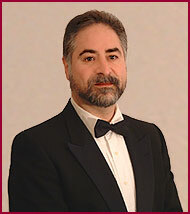 As an orchestral musician, Mr. Futterman performed with the New York City Ballet Orchestra, the Chamber Orchestra of New England, the New Jersey State Opera, the Seattle Symphony and the Philharmonia Virtuosi under various Music Directors including; Leonard Bernstein, Sir Georg Solti, Zubin Mehta, Aaron Copland, Edo de Waart, James Conlon, George Manahan, Julius Rudel, Jorge Mester, Sixten Ehrling, Rainer Miedel and Gerard Schwarz. For nearly ten years Mr. Futterman had a parallel career in foreign languages and cultures. Employed by the American Cultural Exchange, he served as a cultural liaison for visits from foreign governments and universities and trained foreign language interpreters. This, in turn, led to three years of work with the television series “Northern Exposure” as a technical advisor, scriptwriter and multiple language coach. Always active as a composer, Mr. Futterman’s works include orchestral and chamber music. In recent years, Mr. Futterman has consistently received standing ovations when touring with orchestra and conducting his own World Beat Dance Suites. His Fiesta Mexicana (2005) has been embraced by the Hispanic communities of Washington with many performances. In 2010, this work will be choreographed and performed by the famous Sword Dancers of Los Bailadores del Sol. His orchestral works include Farrago and Fugue (1997), Double Trouble, a setting of the Witches’ Scene from Macbeth (1999), the World Beat Dance Suite #1 (2000), World Beat Dance Suite #2 (2002), and Japanese Vignettes (2006). Sanja Futterman, Assistant Conductor, is a frequent performer in the Puget Sound area and the former conductor of Bellevue’s Premier Orchestra. She has performed with the New Jersey State Opera, the Dover Symphony and the Tchaikovsky Chamber Orchestra of Moscow. Locally, she has appeared with many ensembles including the Pacific Chamber Orchestra, the Northwest Sinfonietta, the Federal Way Symphony and on many recordings and film scores. 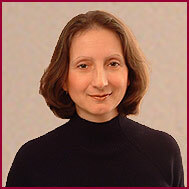 Mrs. Futterman has served as Professor of Violin at the Funkcionalna Muzicka Skola of Zagreb, Croatia. She earned a Diploma in Violin Performance and Pedagogy and a second Diploma in Russian Language from the Tchaikovsky Conservatory, where her teachers included Leonid Kogan, Sergei Kravchenko and members of the Borodin Quartet. Mrs. Futterman maintains a large studio of private violin students and many of her former students are now professional violinists themselves. Send questions or comments about this web site to the WebMaster.